The UPS notary service – at first glance – is easy to understand and use. All you need to do is find a UPS store that offers the service, take your documents there, provide supporting ID, and complete the process. But below the surface, there’s also a degree of inconvenience that could be frustrating to people who frequently need notary services. In contrast, using a mobile notary is just as valid but you don’t need to reschedule work or travel too far to have your documents notarized. Let’s explore the difference. 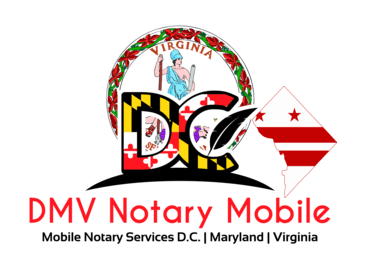 What is a Mobile Notary, and How are They Different? With documents such as wills, affidavits, and trusts, validating them with a notary prevents them from being successfully challenged in court later. Like a UPS notary or a FedEx notary, a mobile notary will ensure that your legal documents are signed in the presence of an impartial third-party witness. But when you use a UPS or FedEx notary, you travel to them. This means finding a big box store and scheduling an appointment that’s convenient for both parties. If they’re booked up, or don’t have time to help you when you need it, it could put your plans on hold until they’re ready. That’s not what’s best for you. In contrast, a mobile notary provides the same service but with extra convenience. You eliminate the need to travel and there’s a stronger chance they’ll work to your schedule. So Which Type of Notary is Better? The most important element of notarizing documents is that you find a suitable person. Although both UPS and FedEx provide such persons, their services aren’t always convenient. So, if you would rather avoid traveling to a big box store every time you need to sign a document, using a traveling notary works in your favor. You remove the associated costs, potential time wasters, and avoid the frustration of traveling back and forth on someone else’s schedule. And if you forget your ID on your way to your appointment – you’re out of luck. But the biggest benefit is the flexibility that comes with arranging an appointment time. If you find a dependable notary, they’ll arrive at your chosen location outside of office hours. During stress-filled processes such as completing documents when buying or selling a property, this can reduce the strain on your work-life balance.